For prompt, proactive and full-service lawn and landscape design and maintenance, trust the professionals at Lee's Lawn & Garden. Not only does a professionally designed and managed landscape increase the value of your property, it saves you time. 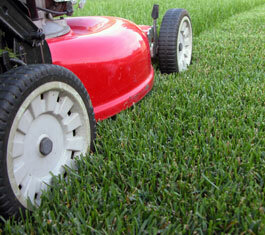 With Lee's Lawn & Garden, we'll help you enjoy a "greener peace of mind." Infertile soil is one of the leading causes of sod and plant decline. 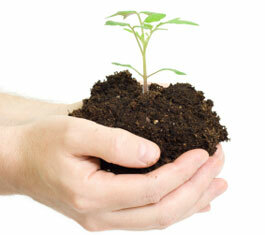 If your plants are not doing well and the soil is neither too dry or too wet, then the soil is most likely infertile. When you call Lee's Lawn & Garden, the first thing we will do is take a soil test. Applying fertilizer without taking a soil test is like taking medicine without going to the doctor. Different turfgrass varieties require different amounts of nitrogen so it is important to know the difference between varieties and understand what their growth needs are. All turf and ornamentals will benefit from supplemental fertilization whether you are applying a synthetic fertilizer or using an organic product such as compost. 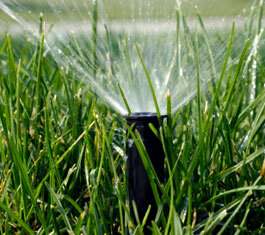 Making sure that fertilization is balanced with your soil‘s needs is what is most important. Call us today to start seeing the benefits of our Soil Fertilization Program on your landscape. We specialize in the design and implementation of exterior spaces that enhance your outdoor living experience. If you value imaginative thinking and scrupulous attention to detail, you’ll be attracted to the way we work. Our designs create stunning and innovative landscapes that mesh with your lifestyle. 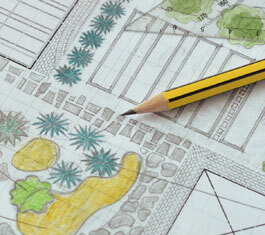 You can count on our expertise and experience in all forms of landscaping architecture. And you can depend on us to help you during all phases as well, from planning and design to complete installation. 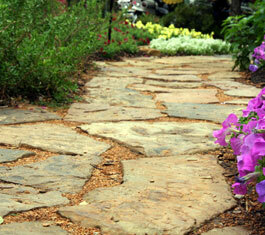 Carefully planned hardscapes can enhance the functionality and visual appeal of your exterior spaces. We have years of experience designing walkways, patios, decorative stonework, and retaining walls that work for any type of outdoor space. 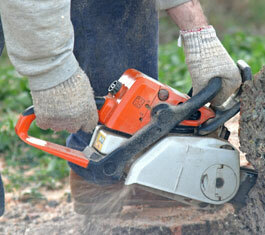 Pruning can make your tree healthier and more aesthetically pleasing. We offer a professional "eye" for what needs to be done in order to keep your trees healthy and attractive. We never like to get rid of a tree, but sometimes it is necessary for one to come down. We dispose of trees in a careful and efficient manner, minimizing waste and invasiveness in your landscape. We will also help you pick out a tree for replacement that best compliments your property. No matter where you live or how beautiful your property may appear, it is hard to enjoy your outdoor space with unwanted pests. Our employees are highly trained in all aspects of pest control, ensuring all your landscape pest needs are met with precision and care. We help homeowners and property managers control bug and pest problems by immediately assessing and addressing current pest infestations and helping you prevent them from happening in the future. 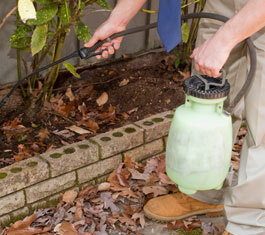 Lee‘s Lawn & Garden is your one stop for all your exterior pest control needs. Say goodbye to those annoying outdoor pests, contact us today! Lee's Lawn & Garden Services, (817) 939-4822, info@leeslawnservices.com | Base Content Copyright © 2019 Market Hardware, Inc.